The Atayal tribe is mostly found in northern and central Taiwan along both sides of the Central Mountain Range. 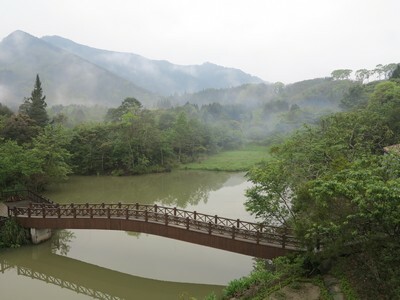 It has a population of about 80,000, and the largest distribution among the indigenous tribes of Taiwan. 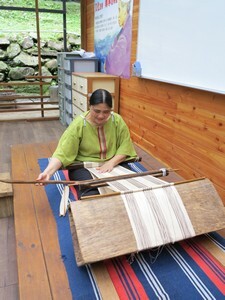 The Atayal women are excellent weavers. The Atayal are also well known for their tradition of facial tattooing. In the past, males that proved themselves in battle and females with outstanding weaving skills could receive these tattoos, which were a symbol of adulthood and eligibility for marriage. The Saisiyat tribe currently has a population of about 5,600 concentrated in the mountains of Miaoli and Hsinchu counties. The Saisiyat's most important ceremony is the Dwarf Spirit Ceremony (pasta'ay). According to tribal legend, a people who were described as short in stature with dark skin lived next to the Saisiyat. They taught the Saisiyat how to improve their agricultural techniques and their crops flourished. However, the males would often harass the Saisiyat women, infuriating the Saisiyat men. One day the Saisiyat men killed off all of these people except for an elderly couple who foretold of future crop failures. To appease their spirits, the surviving couple taught the Saisiyat the songs of the Dwarf Spirit Ceremony. This ceremony is held once every two years, over several successive nights. The first Hakka people arrived in Taiwan more than three centuries ago and tended to congregate in hilly areas where they carried out farming. In Nanzhuang, the Hakka were attracted by the camphor harvesting, forestry and coal mining industries that once prospered here. The Hakka planted many tong trees, which produce picturesque white blossoms in May. Thus, we may have the chance to experience "snow in May" as the hillsides become covered in bright white tong blossoms. Xiangtianhu is the name of a natural lake and a small community of the Saisiyat tribe. 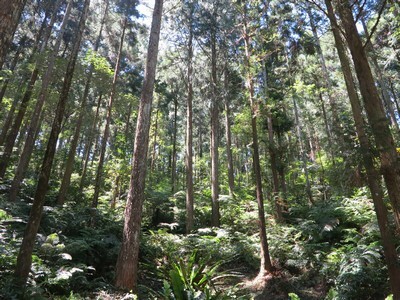 It is also where one of the two Pasta'ay (Dwarf Spirit Ceremony) ceremonial grounds is located, the other is in Wufeng Township, Hsinchu County. The Saisiyat Cultural Hall features bilingual exhibitions on the history and culture of this tribe and is located next to the ceremonial grounds (Note: this hall is not open on Mondays). After visiting the ceremonial grounds and the Saisiyat Cultural Hall, we walk the nature trail that goes around the lake and visit part of the Xiangtianhu Community. This nature trail is suited to most levels of physical fitness and requires about 40 minutes to complete. Stop 2: Lunch of indigenous cuisine prepared by residents of the Atayal Shibi Community. 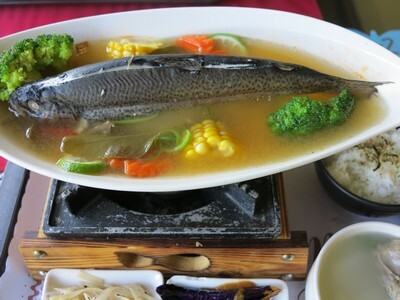 The community-run restaurant serves locally farmed trout, wild greens collected from the mountains, locally farmed mushrooms, locally raised chicken and other specialty dishes, such as preserved pork served with moichi (sticky rice cakes). 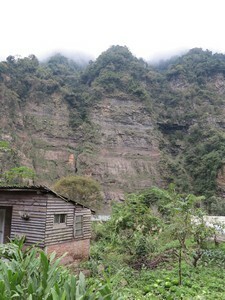 There are several Atayal communities in Nanzhuang Township. Shibi is the Chinese name of one such community and literally means "rock face" (raisinay in the Atayal language). This is due to the sheer cliff topography in this area. 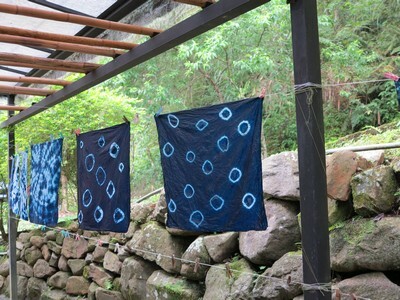 The Raisinay Weaving and Dyeing Workshop features a small botanical garden where it grows ramie (a type of Asian hemp that is the traditional material used in woven cloth), as well as plants used to dye cloth. Members of the community are employed here producing hand woven textiles, bags and other products on modern looms. In the classroom area, we will view a demonstration of the use of a traditional indigenous loom and participate in a DIY activity using natural plant materials to dye cloth. Before the development of modern bridges, indigenous people crossed rivers to travel between communities by stringing rope across in a shallower part. They would wade through the water holding onto the rope, or sometimes used this rope to send across goods, so that they would be kept dry. 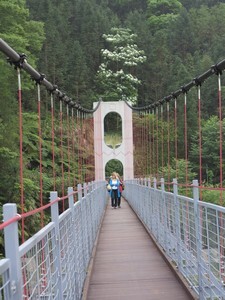 Later suspension bridges began to be made of rope and wood, which were later replaced with stronger versions starting in the Japanese occupation era (1895-1945). 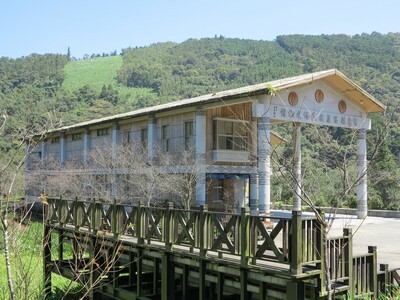 At the nearby Walo Cultural Hall, converted from a Japanese-era logging operation office, we will learn about efforts to promote local cultural tourism and handicrafts. When the coal mining, forestry and camphor harvesting industries declined, many residents moved away and Nanzhuang lay forgotten for more than a decade. Thus, many of the historical buildings along Nanzhuang Old Street, once a prosperous commercial area, were preserved. Along Guihua (Osmanthus Flower) Lane are shops selling snacks and souvenirs. At the entrance to this lane are preserved washboard stones, where Hakka women once gathered to wash clothes. 7. Wear comfortable clothes and shoes. Long pants and sleeves are recommended.